Don’t worry, the TARDIS won’t take your food to unknown space or time. 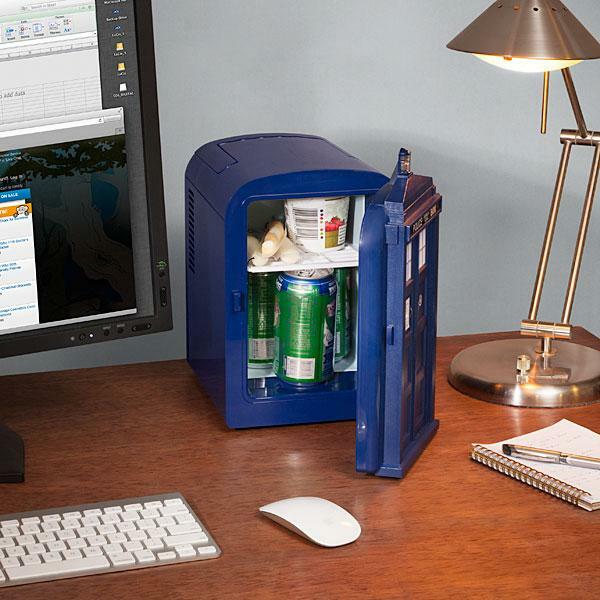 But if you want to keep your food fresh or heat your food, the Doctor Who TARDIS mini fridge will help you. This is a pretty cool, officially licensed mini fridge themed by Doctor Who, the famous British sci-fi TV program. The mini fridge measures 10.5 l x 7.5 w x 10.5 d inches, and as we can see from the images, the mini fridge is shaped as TARDIS, the iconic time machine from the universe of Doctor Who, and comes with accurate details and colors from the original design. Moreover, the interior capacity is enough to hold a six-pack of 12-ounce cans and keeps the beverage cold. 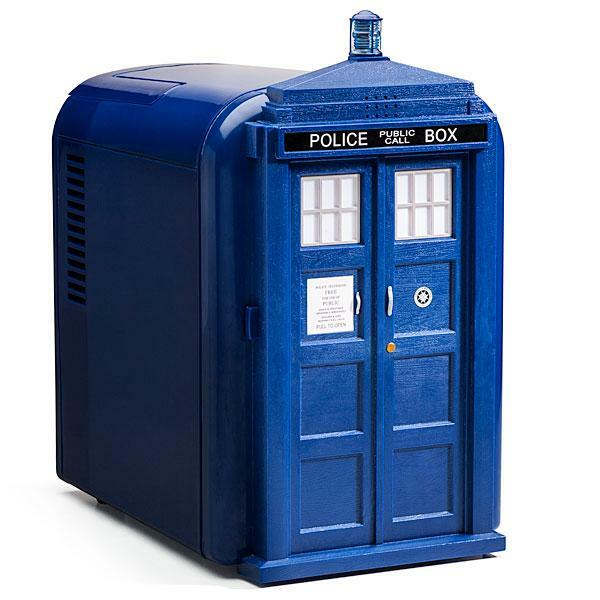 When you open or close the fridge door, the mini TARDIS features a flashing light and iconic sound effects. Apart from that, the warming function is able to heat your food. The Doctor Who TARDIS mini fridge is priced at $79.99 USD. If you’re interested, jump to ThinkGeek for more details.